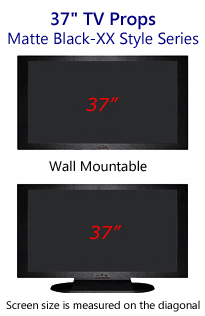 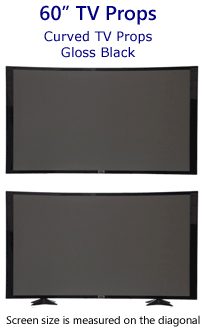 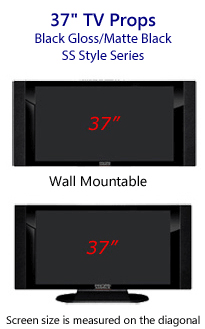 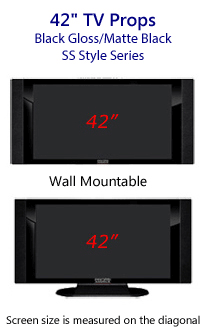 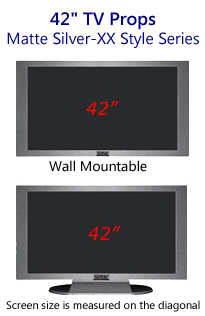 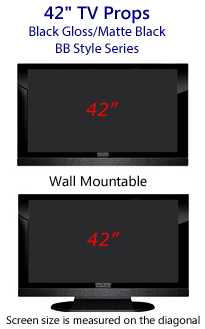 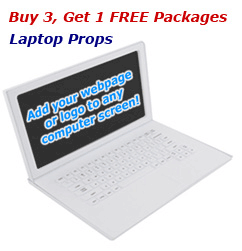 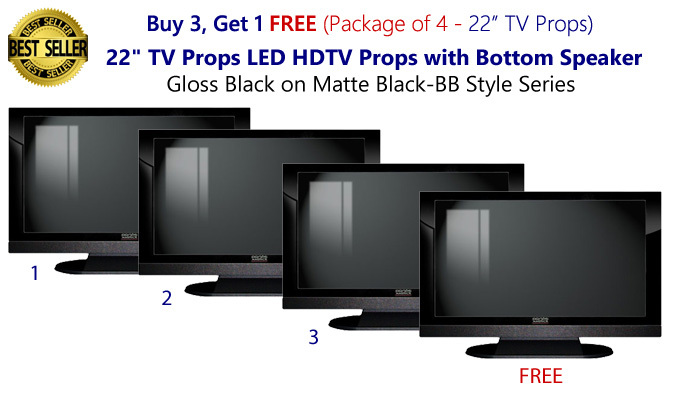 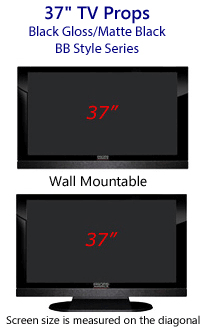 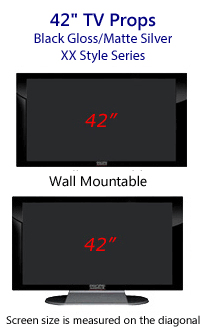 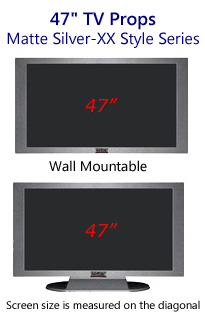 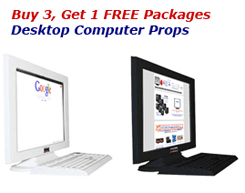 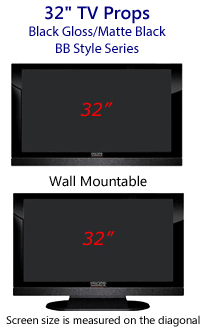 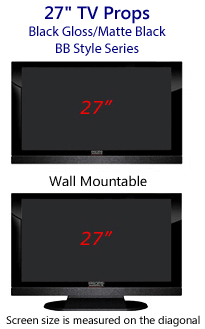 4 Pack of 22 Inch HDTV Props with bottom speaker. Screen Image #000 Off-Position Screen Included. PropTVs can be wall mounted* or table mounted. The bases, or stands, are removable for quick wall mounting. No tools required for base removal. *NO plasma wall mounting kit needed. Props America fake flat screen Television props mount like a picture with small screws or nails. 3M Command strips are a great alternative for wall mounting if you prefer to not put holes in the walls. These 22 inch TV props have a black high-gloss finished frame on the front with a matte (non-shiny) finish bottom speaker panel. 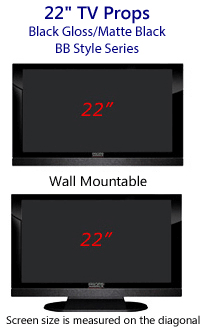 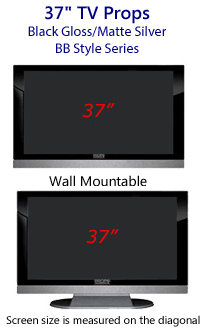 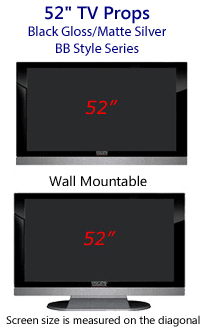 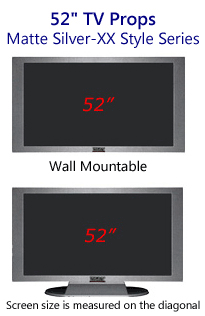 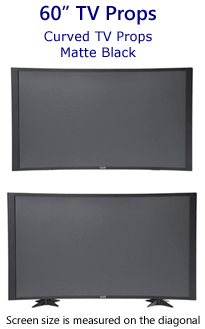 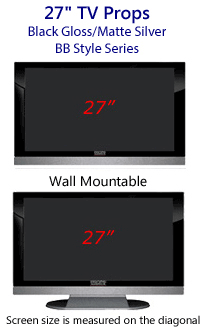 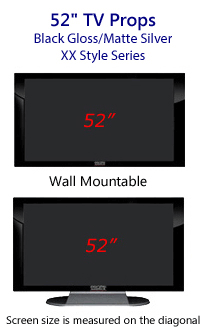 The body, back & sides of these fake televisions have a matte finish for easy handling. These are not real TVs and have no working electronic components. 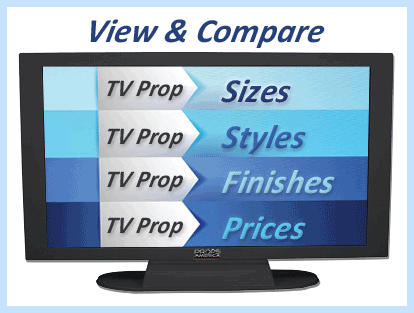 These propTVs are for staging, decorating furniture stores & advertising purposes.